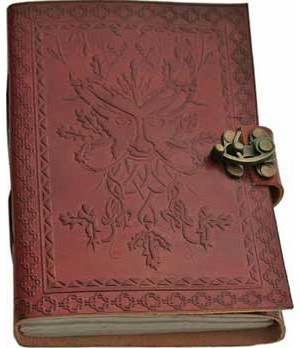 Blank leather journal with Greenman. Border embossing may vary. Sizes vary slightly. 5" x 7".